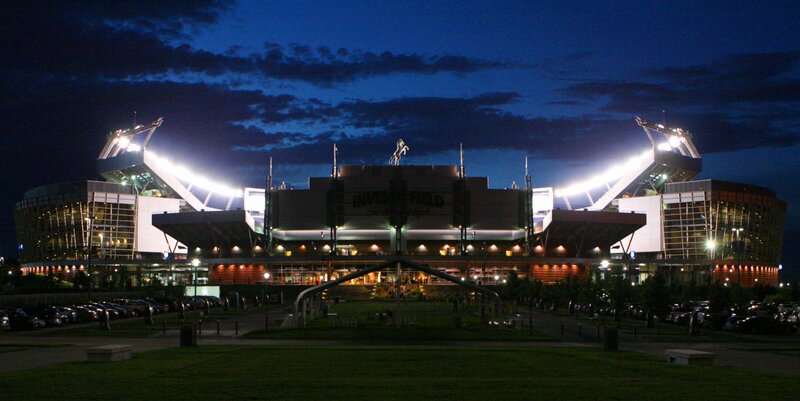 DENVER, CO – The Blue Knights Drum and Bugle Corps is pleased to announce their 2016 Drum Major Team: Myles Giller, Diane Huseman, Sarah Jones and Daniel Belcher. All four drum majors went through a rigorous audition and interview process over the last two months at the BKXperience Camps in Denver. They were selected based on their attitude, conducting skills, strong leadership traits, and ability to commit to the Blue Knights in 2016. Myles Giller, from Sebring, Florida, marched mellophone his first two years with the Blue Knights in 2012 and 2013. He was selected to be drum major for the 2014 and 2015 seasons. 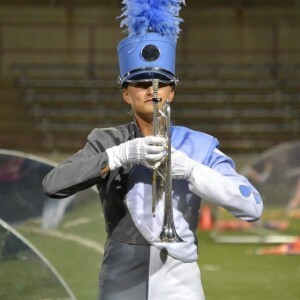 In high school, Myles played saxophone and learned mellophone his senior year, which allowed him to audition for Blue Knights. 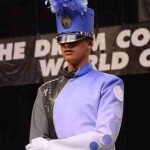 This will be Myles’ 5th year and age-out year as a Blue Knights member. Second year member, Diane Huseman, is from Carrollton, Texas and marched trumpet with the Blue Knights in 2015. She is currently attending the University of North Texas where she is majoring in Music Education. Her goal is to become a band director some day. Being a Blue Knights drum major allows her to share her passion for music with the drum corps and the audience. First year member, Sarah Jones is from Evergreen, Colorado. She played clarinet for three years and was drum major for the last two seasons with the Evergreen “Cougar Pride” marching band. Her favorite historical composer is George Gershwin and while her primary instrument is the clarinet, she also plays piano. Sarah, who enjoys mathematics and science, is pursuing an engineering physics degree at the Colorado School of Mines. Daniel Belcher is from Cincinnati, Ohio where he attends Milford High School. 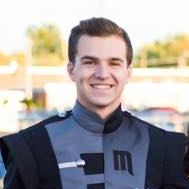 Although this is his first year with the Blue Knights, he has been the drum major at his high school for the last two seasons and has also marched in Rhythm X Winds on baritone. Myles, Diane, Sarah and Daniel are just a few of the many amazing young people in the marching arts, who choose to give back not only to the Blue Knights organization, but to friends that inspired them. The humble, selfless leaders who influence further generations to be the example, the one everyone looks up to. We welcome them to the team and look forward to another great year for the Blue Knights in 2016.